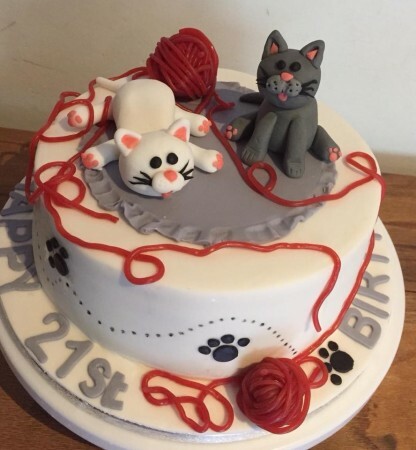 I have been making cakes for my friends and family for over 25 years. After 'retiring' to the countryside, I decided to make my hobby into a business. 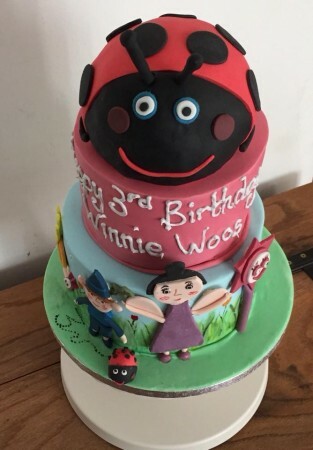 Based at home on the edge of Exmoor, I make all kinds of novelty cakes and cake toppers for your own cakes if you wish. I can create almost anything you desire from cake and icing. 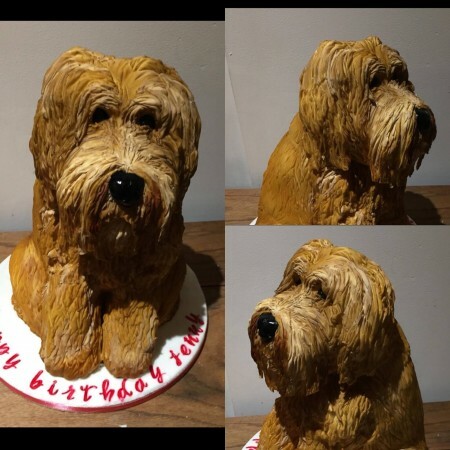 My carved dog cakes are becoming quite popular now. I use an airbrush to achieve the fur colour. These I love! My 'look-a-like' toppers are also a popular choice. These can be bought alone or as part of a cake order. Being fully registered and insured I can deliver within a 40 mile radius of Dulverton; covering Taunton down to Exeter and inbetween. All prices quoted include delivery. 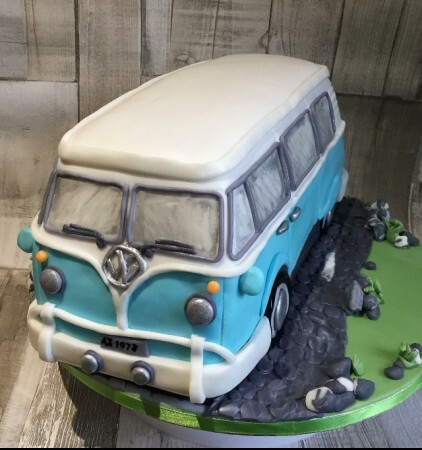 Many designs can be adapted and I enjoy a challenge- so if you are looking for something specific please email ask@mumsbakecakes quoting Crooked Halo and I'm sure we can create that something special together. 6 inch diameter by approx 8 inch tall. Simplistic design with sugar flowers on.